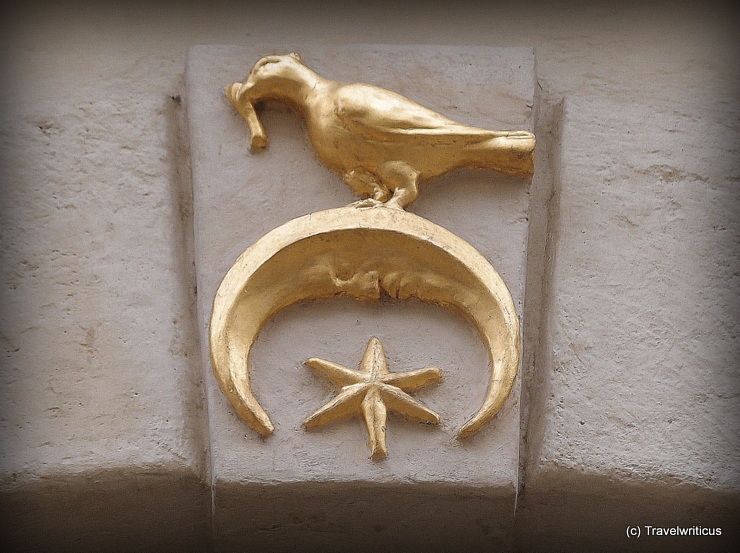 This house sign in a lane in Graz depicts a bird as well as a star and crescent combination. If you look carefully you’ll see the moon is showing a face. This sign is located on a 17th-century portal at the address Schmiedgasse 20 in Graz. 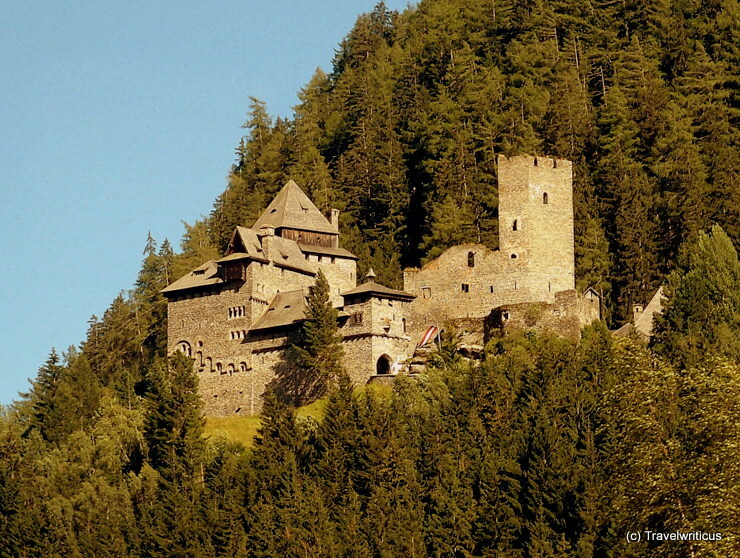 On a trip with the Styrian railway in the Lungau we pass this castle high above the town Ramingstein. It looks medieval but well preserved. We wonder if it is still inhabited? This sundial, located at the parish church of Tamsweg depicts James, son of Zebedee (Jakobus der Ältere) who is the patron of this church. Tamsweg is the largest town of the Lungau region in the Austrian state of Salzburg. 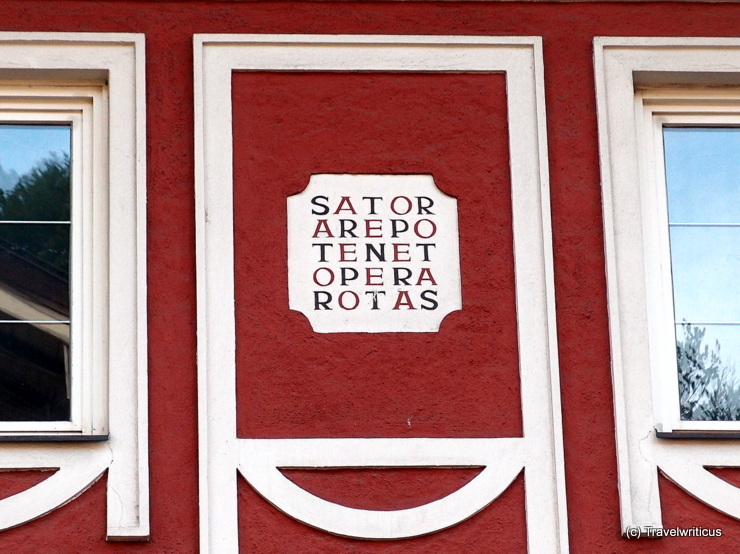 A sator square seen on a facade in Golling an der Salzach. The sator square, also known as rotas square, is a word square containing a five-word Latin palindrome. The oldest datable representation of a sator square was found in Pompeii. 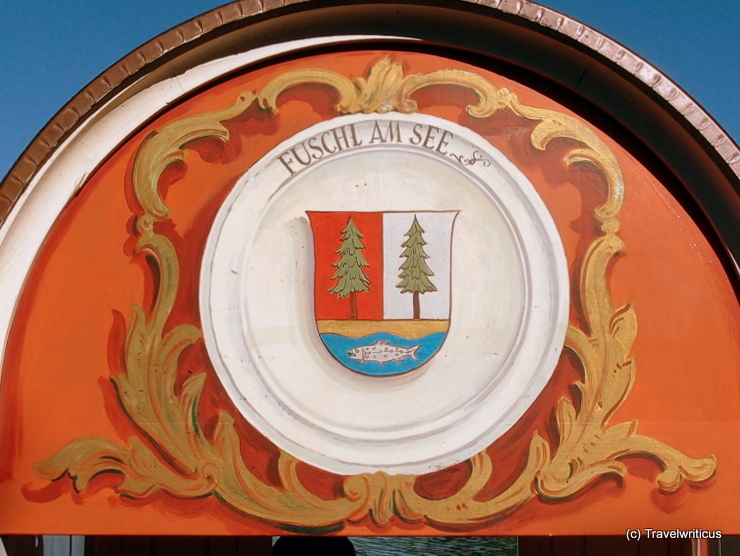 The coat of arms of the Fuschl am See displays two trees and a fish. The place in the Austrian region of Flachau is known for a lake which provided the court of the Archbishops in Salzburg with fresh fish. This pic was taken on board of a Zille, a special type of boat, which is in operation on this lake. 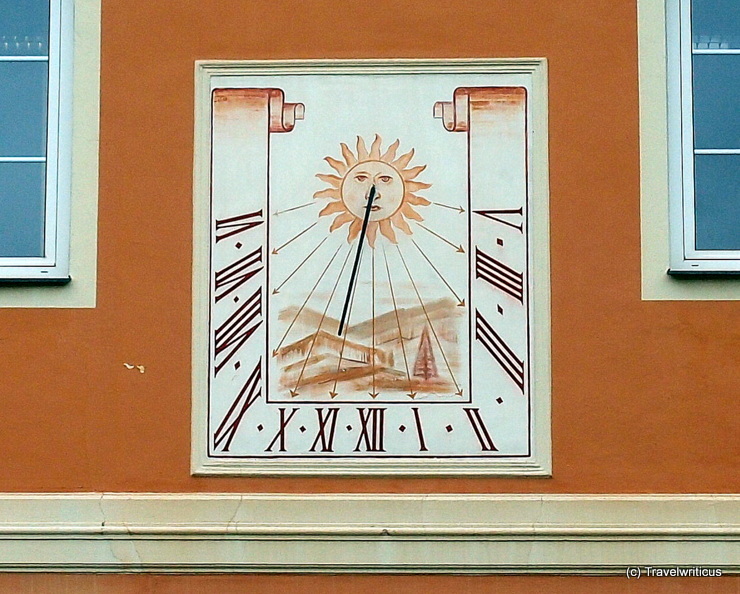 This fresco with a sundial is located on a wall of the old university at the Max-Reinhard-Platz. It was created by Georg Jung (1899-1957). 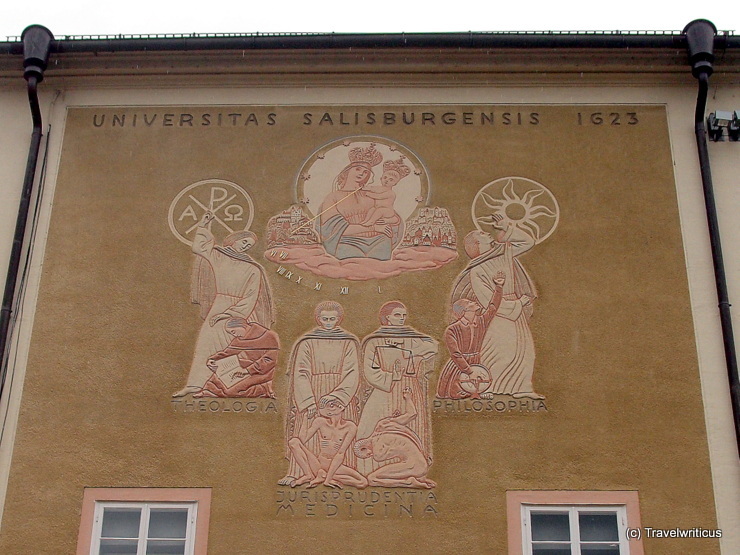 The depictions refer to the four faculties of that university which was founded by Prince Archbishop Paris von Lodron in 1622. 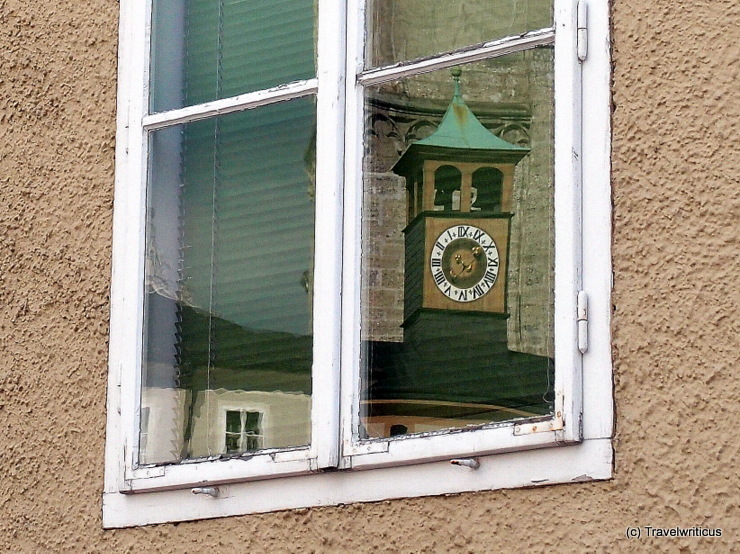 This public clock, reflected in a simple window, is located on top of a walk way connecting the Franciscan monastery with the Franciscan church in Salzburg. 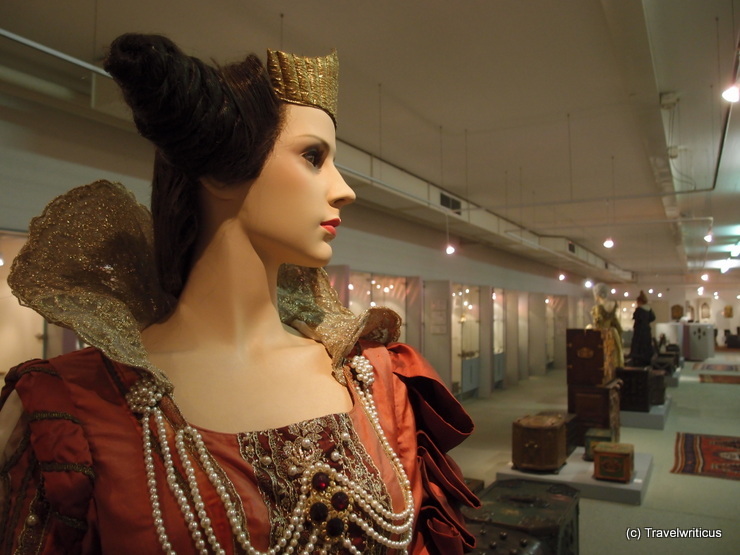 At the Schell Collection, also known as Museum of Keys (Schlüsselmuseum), you can learn a lot about keys, locks, chests and jewellery boxes. Another focus is on decorative ironwork used for house signs, grave crosses, windows and doors. This house sign was created by two Italian migrant workers and renewed in 1957 by Alfred Kala. You can see it at the town pharmacy in Knittelfeld. I love the combination of lions with a mortar and pestle. The lions look a bit weird anyway. 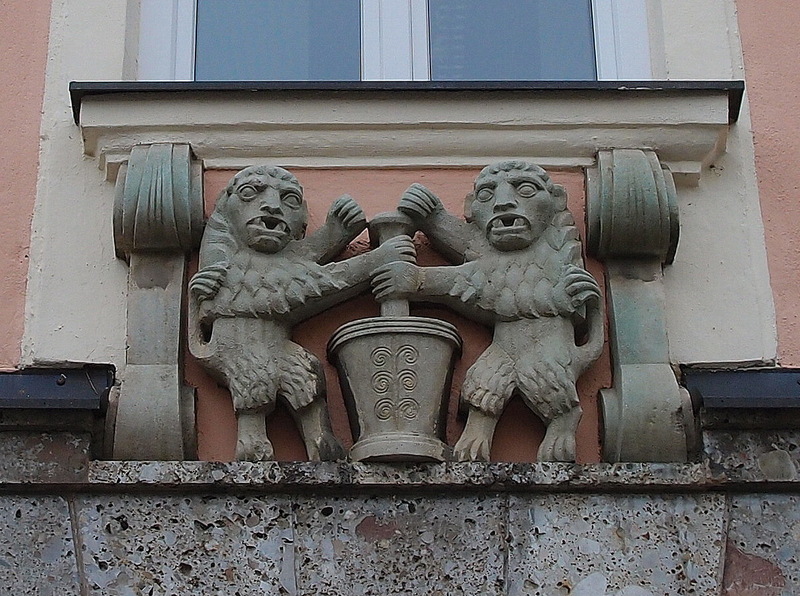 The lions, however, do not look particularly trustworthy for their job as a pharmacist. 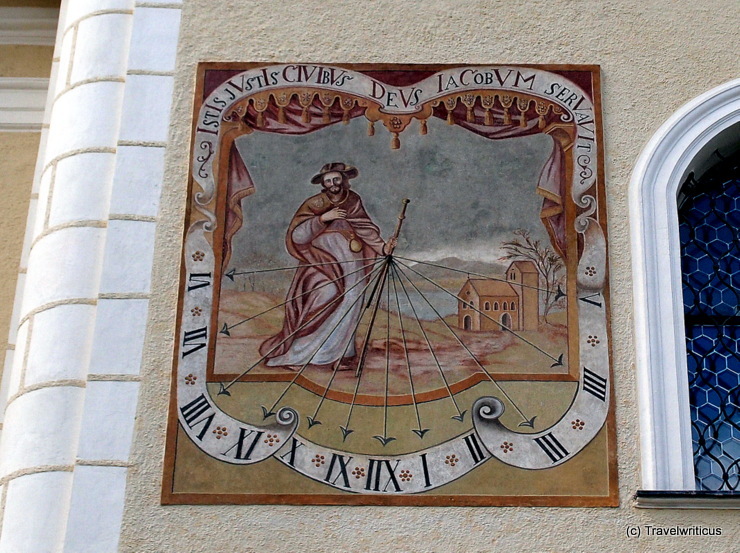 This sundial is located at a building generally known as Hofrichterstöckl. The 17th-century edifice is covered with a hip roof and offers an early Baroque entrance portal labelled with the year of construction in 1640.